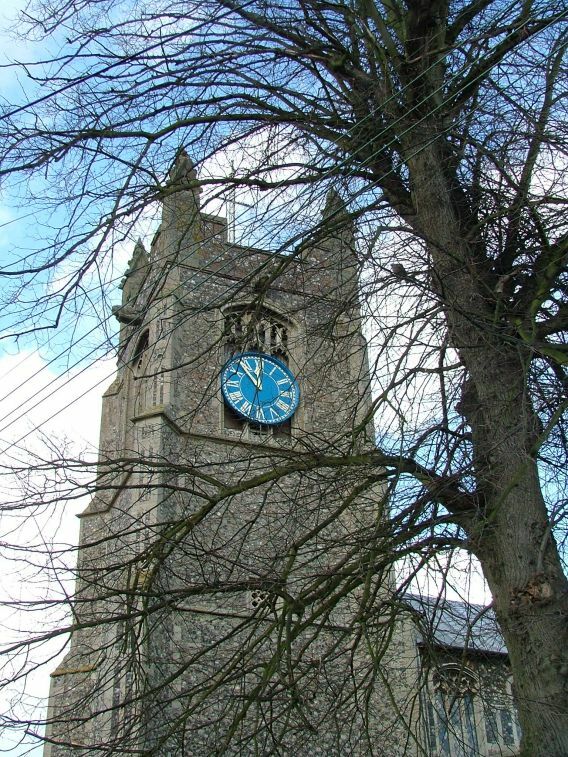 New Buckenham is a south Norfolk new town; but, being Norfolk, this is a 12th century new town rather than a 20th century one. 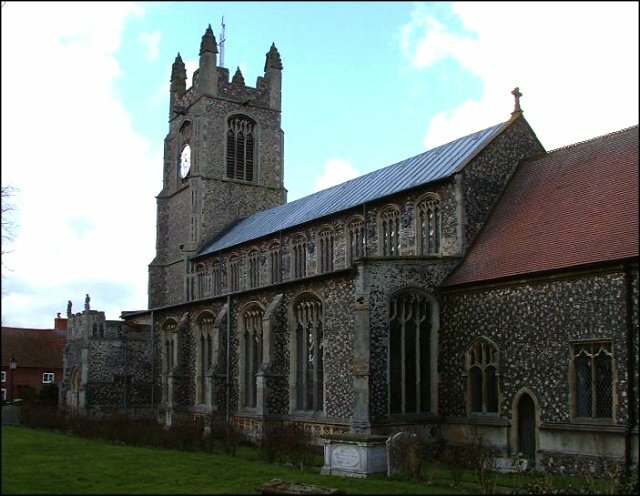 William d'Albini, who we have already met at Castle Acre, was given the manor of Buckenham by the Conqueror, and he rebuilt the castle a mile or so to the east, and a new town grew up below it. 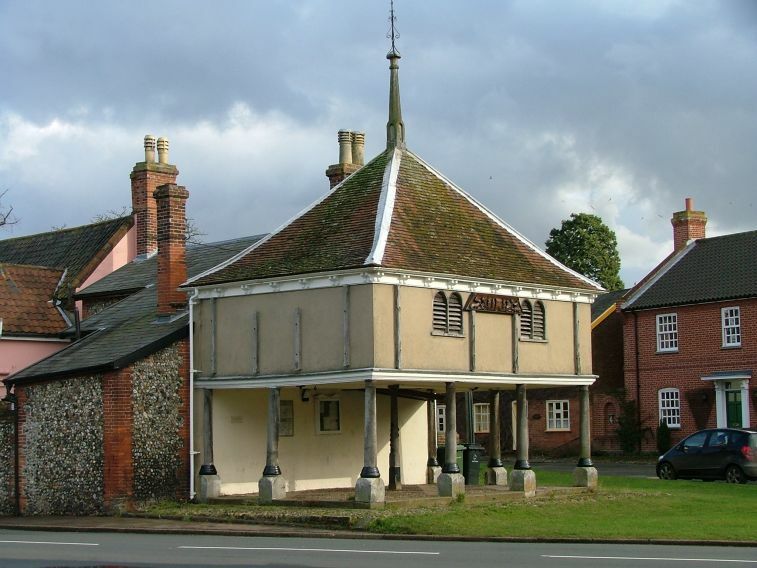 It appears, from the street grid which survives, to have been a planned town, although it is possible to drive through and not realise this, because the Attleborough road tears through mercilessly. But on foot you get a better sense of it, and it really deserves to be better known. The Kings head, opposite the market cross, is a fine, welcoming pub. 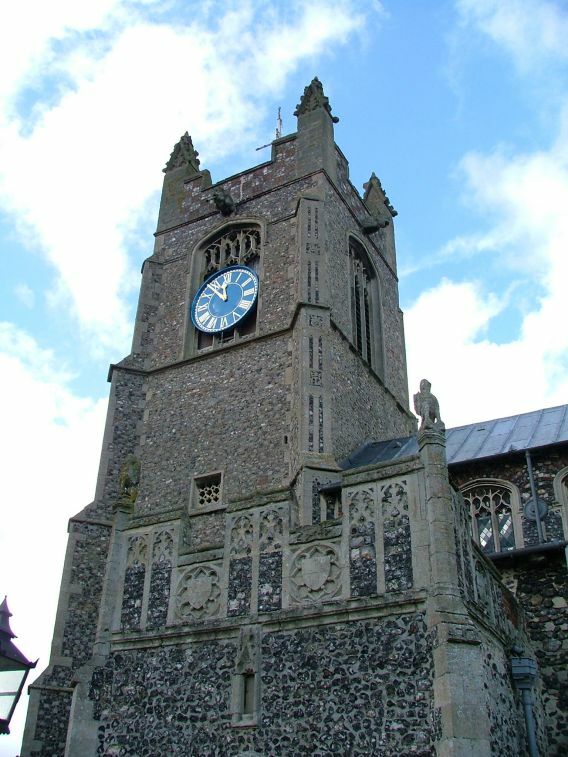 Much of what survives in the village is late medieval, and the best example of this period is St Martin. 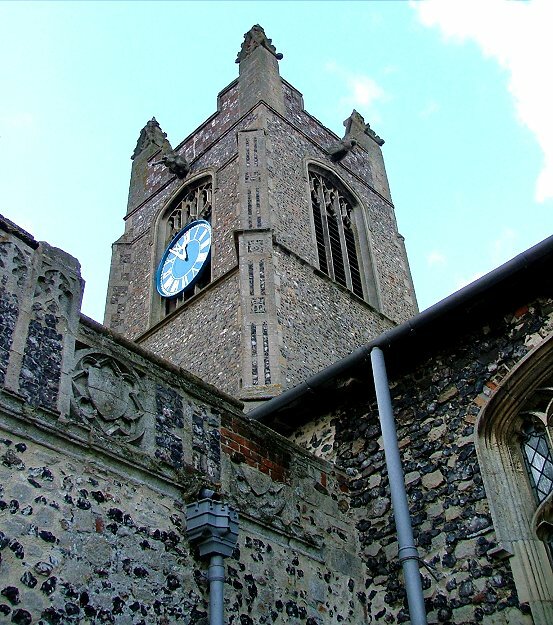 Externally, this is a grand, urban building, easily the equal of most of the churches of Norwich and Ipswich, from the pinnacles on the tower to the crisp array of clerestory windows. There are minor remnants of an earlier 13th century building, but this might as well have been a complete rebuild. The narrowness of the graveyard only accentuates the way it rises like a rocket above the roof tops. 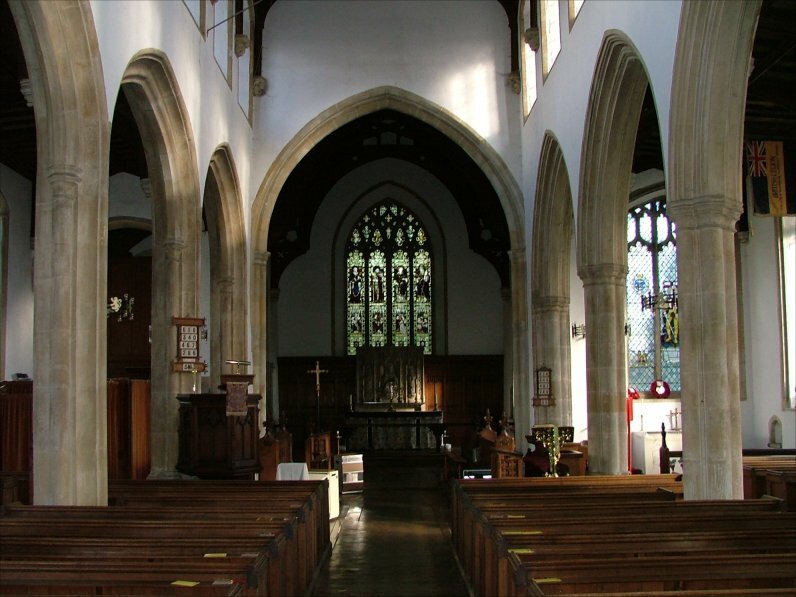 The Victorians seem to have taken this urban triumphalism as their motif for the inside, because this is, I am afraid, one of the least atmospheric churches in this part of Norfolk. 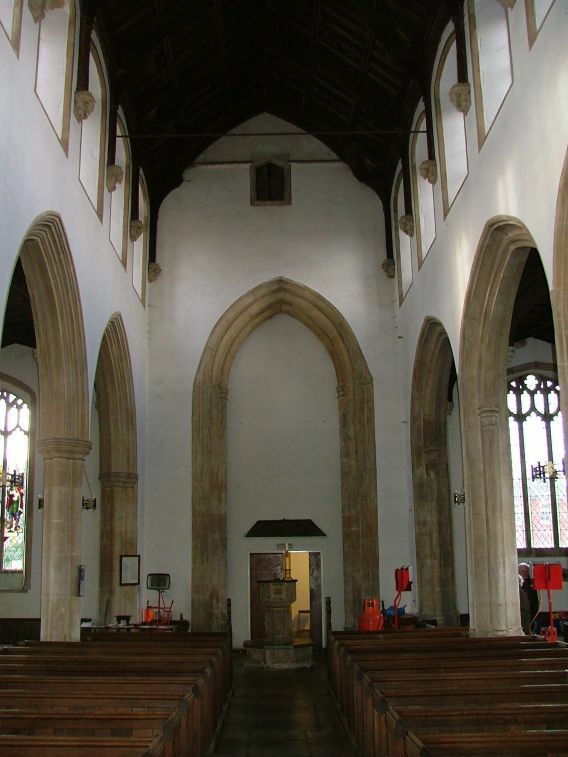 The inside is big, with a sense of height and space, but it has been pretty well scoured of any local or rustic character. It could just as well be anywhere. 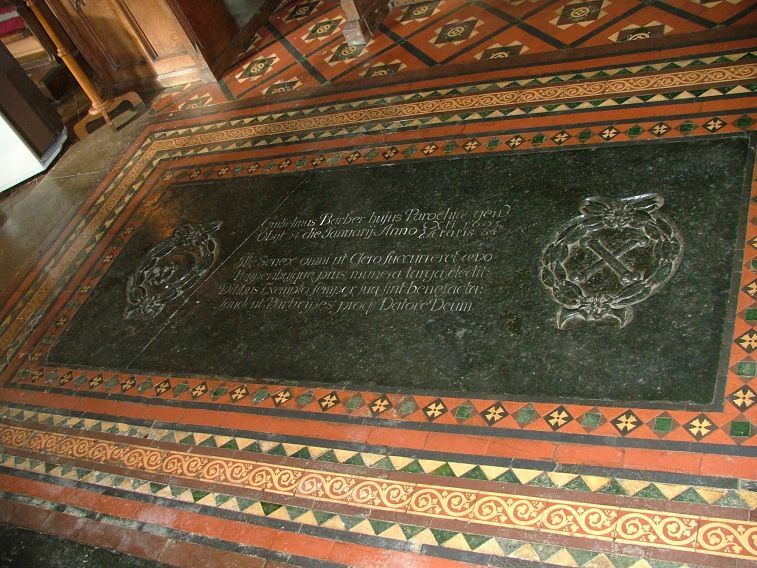 However, it feels well used and looked after, and even here there are fascinating survivals. The most interesting is the font. 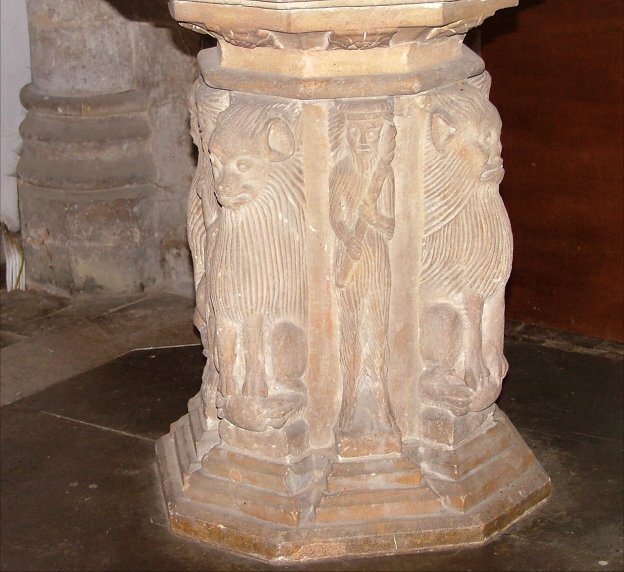 On a medieval stem with wild men and lions on it is an early 17th century bowl. 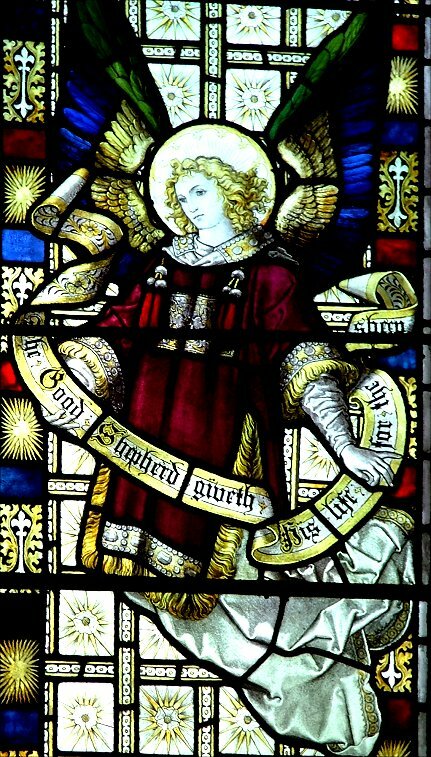 Fonts of this kind are often considered 'Laudian', but in fact this predates Laud's reign as Archbishop of Canterbury by 13 years. 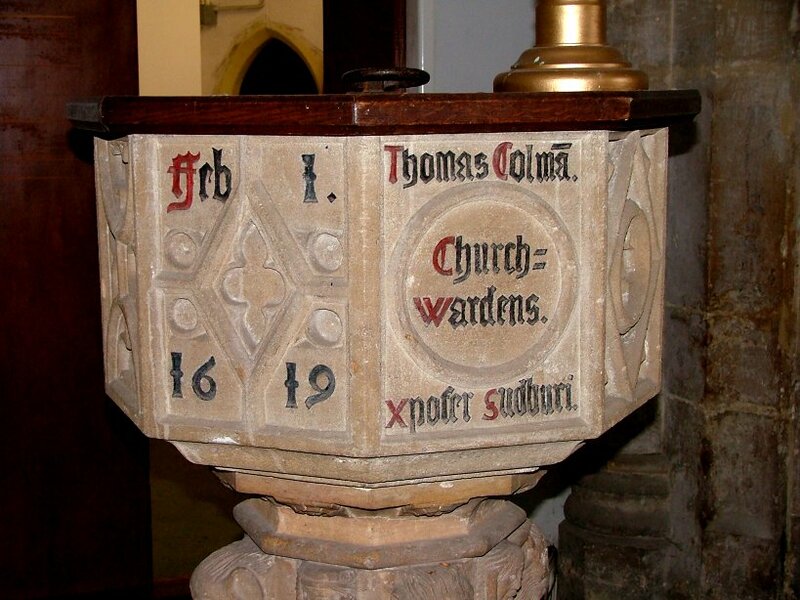 There are several of these fine, interesting fonts in Norfolk - there are good ones across the county at Gaywood and Tilney All Saints - but this one has the added detail of the churchwardens' names, Thomas Colman and Christopher Sudbury, and a very precise date, February 1st 1619. The stem has been recut, as likely by the Victorians as the Jacobeans. 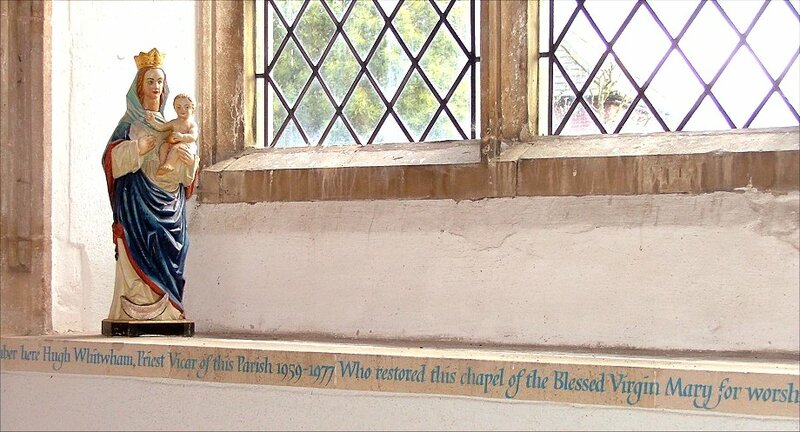 At the west end of the nave there are several curious carved bargeboards that probably date from the 16th century. 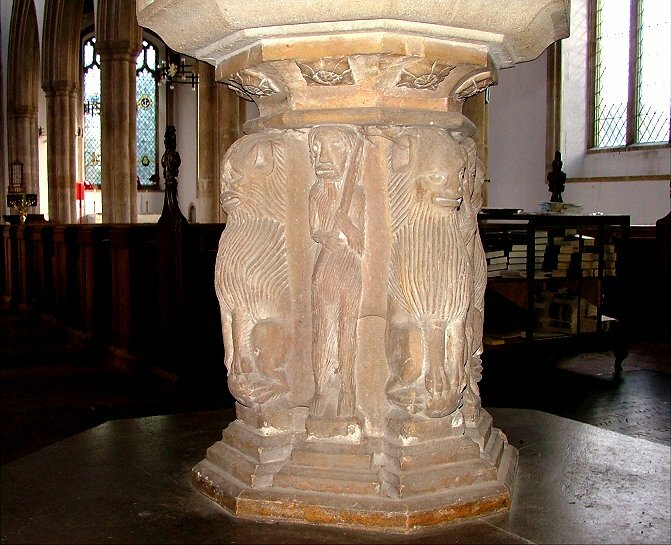 They came from the market cross on the village green, and one of them has a carved relief of the town as it was before the civil war. 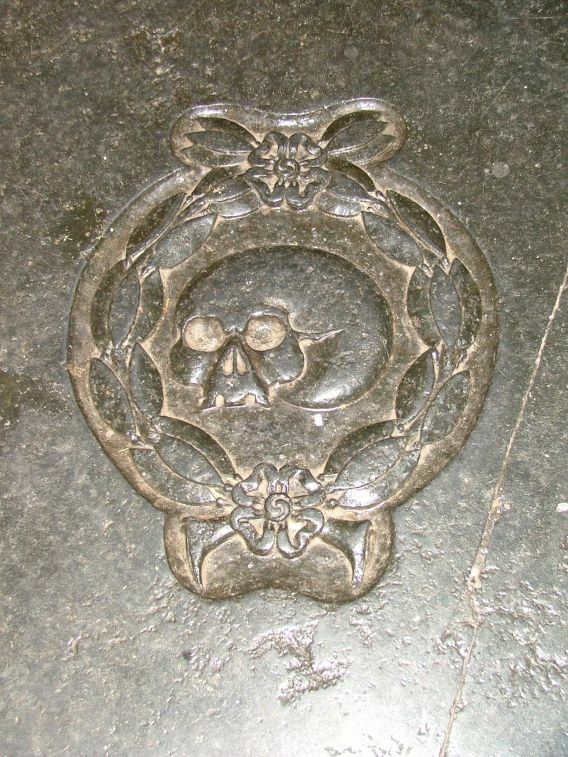 Another carved relief on the chancel floor is one of the grandest ledger stones I've come across, which includes a wickedly grinning skull. 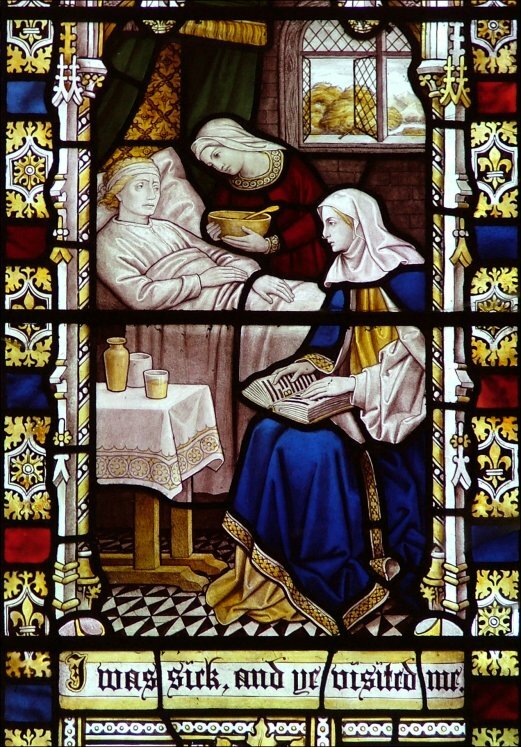 There is some interesting 19th and 20th century glass in the east window and the south of the nave, although the St George in the war memorial window is not, I fear, as good as the rest. 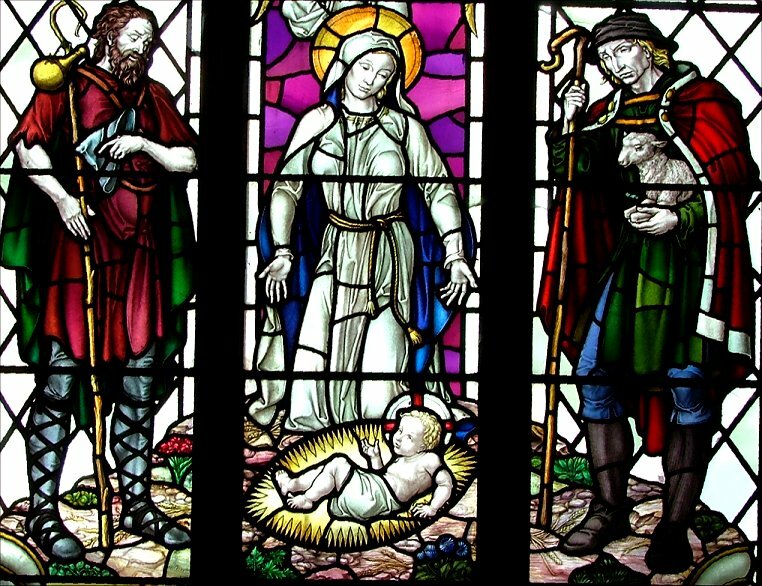 I am very fond of the Nativity window with its Norfolk shepherds, though. 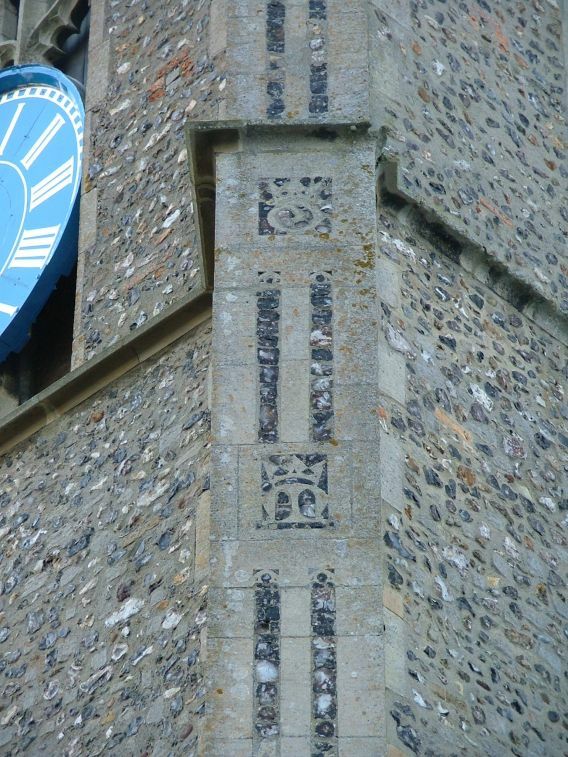 In the south-east corner is a spiky Madonna and Child on a windowsill, and the inscription below reads Remember here Hugh Whitwham, Priest Vicar of this parish 1959-1977 who restored this chapel of the Blessed Virgin Mary for worship after 400 years of disuse. 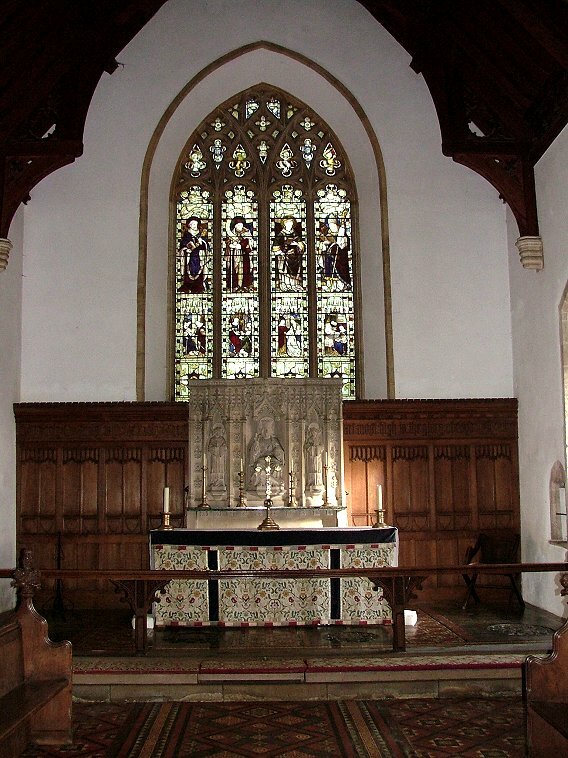 That's all, nothing fancy, just a cool white space, and it suits well the simplicity of modern Anglican spirituality; although it is also probably a sign that Anglo-catholic enthusiasms are a thing of the past at New Buckenham.